The hungriness may stem largely from the use of massive MIMO, a clever way of boosting bandwidth by adding more antenna elements to 5G basestations. While an advanced 4G network might feature up to eight transmitters and receivers, this number rises to 64 with massive MIMO. "That is an active component that consumes power," says Bengt Nordström, the CEO of analyst firm Northstream. "From a site perspective, power consumption is increasing." The 5G energy issue emerged as one of the top concerns for senior executives at China Telecom Corp. Ltd. (NYSE: CHA) and France's Orange (NYSE: FTE) during Huawei's Global MBB Forum in London last week. Guiqing Liu, the executive vice president of China Telecom, grumbled during a keynote presentation about the high power consumption of 5G basestations. His complaints were echoed and amplified by Orange's Arnaud Vamparys, a senior vice president of radio networks with the French incumbent. 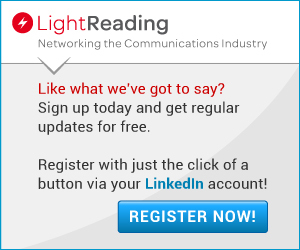 Reducing power consumption on 5G networks would have to be a "key target for the industry in the next few years," he told conference attendees. Ken Hu, Huawei's rotating chairman, addresses attendees at the company's Global MBB Forum in London last week. Their alarm is perhaps not surprising. Energy-related costs already account for as much as one quarter of operating costs at Orange's mobile networks business, according to Vamparys. While the French operator does not break out these details, its overall operating profit margin of 12% last year points to group-wide operating expenses of more than €36 billion ($41 billion) across fixed and mobile networks in 2017. China Telecom's Liu reckons 5G will consume three or four times as much energy as 4G networks. Judging by a graphic Vamparys displayed, Orange expects 5G to be nearly three times as power-hungry if it is "not optimized." Despite the concern, executives are not panicking. The 5G standard includes support for what Vamparys describes as an "advanced sleep mode" that could save energy costs when a smartphone is not communicating with a 5G basestation. Orange has also drawn up other proposals for reducing energy consumption, although details were not forthcoming at the Huawei Technologies Co. Ltd. event. China Telecom, meanwhile, thinks big data analytics and artificial intelligence (AI) could help to cut energy costs. During AI trials, it managed to cut power consumption at data centers by around 30%, says Liu. AI might similarly be used to "optimize" the antennas in massive MIMO gear and realize additional savings, he reckons. One problem with using AI to address this problem is that operators may simply end up swapping one expense for another. 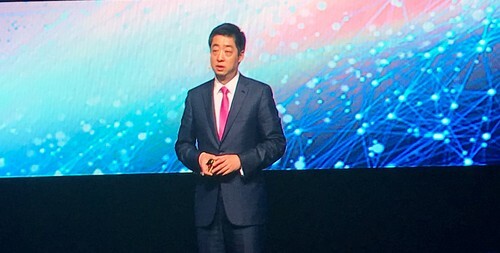 Ken Hu, Huawei's rotating chairman, acknowledges that computing costs will have to fall if AI technology is to become mainstream. "We are trying to make computing power more affordable," he said at the Huawei event last week. "Nowadays it is still very expensive and that is a big bottleneck for AI." Others remain skeptical of the broad AI sales pitch. The label is often used as an umbrella term for technologies that do not strictly qualify as artificially intelligent, they say. Northstream experts are unconvinced by a general vendor argument that 5G networks will be too complex to manage without AI. In that context, the technology is unlikely to be any kind of necessity for operators until there are billions of machine-based connections on 5G networks, says Lei Shi, an analyst with the company. Concern about an energy-related cost increase must also be weighed against the other choices. Using massive MIMO in conjunction with its 3.5GHz spectrum, Three believes it can roll out a nationwide 5G network on its existing "grid." For operators wanting a capacity boost from 5G, the only alternative to massive MIMO would be to build smaller sites at much greater expense, says Nordström. If massive MIMO is initially deployed only in the busiest urban areas, as the industry seems to expect, then an energy-related cost crisis does not look imminent.